....The Siro+ bar stool is beautifully proportioned high stool with a backrest lowered as if it was a handle. It’s made of oak and finished with a lacguered or stained black. The footrest is brass or black painted metal. There are two seating heights available: 65 cm and 75 cm and a choice of wooden, leather or Sand paper yarn cotton fabric upholstered seat. 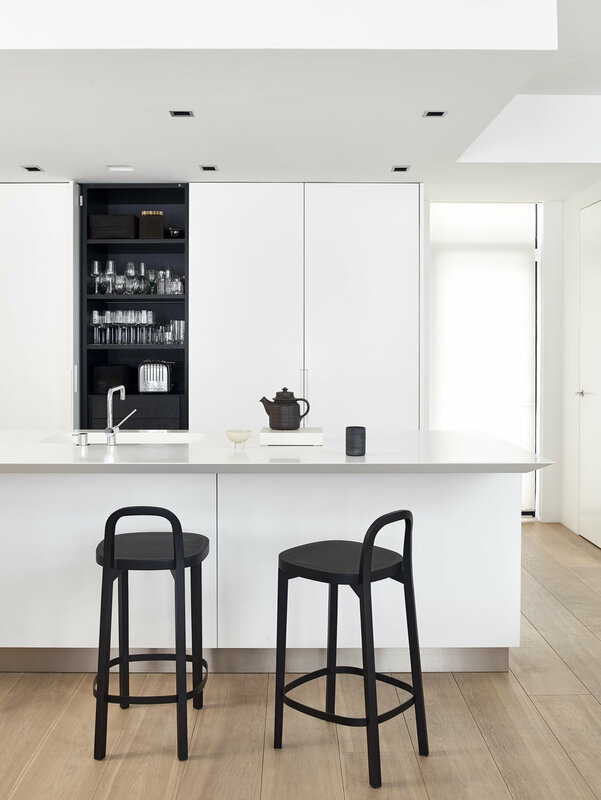 The Siro+ barstool was one of the 2018 winners in the German Design Award’s Excellent Product Design category. The honour is handed out by the German Design Council, a leading competence center for design promotion. ..Siro+ baarituoli on kauniit mittasuhteet omaava korkea jakkara, jonka matala selkänoja toimii kuin kahva. Tuoli on tammea ja viimeistelyvaihtoehtoina on valittavissa joko lakattu tai musta petsaus. Jalkatuki on messinkiä tai mustaksi maalattua metallia. Tuolista on kaksi istuinkorkeutta 65 ja 75 cm. Vaihtoehtoina on puinen tai verhoiltu istuin. Verhoiluvaihtoehdot ovat Sand paperinarupuuvillakangas ja nahka.